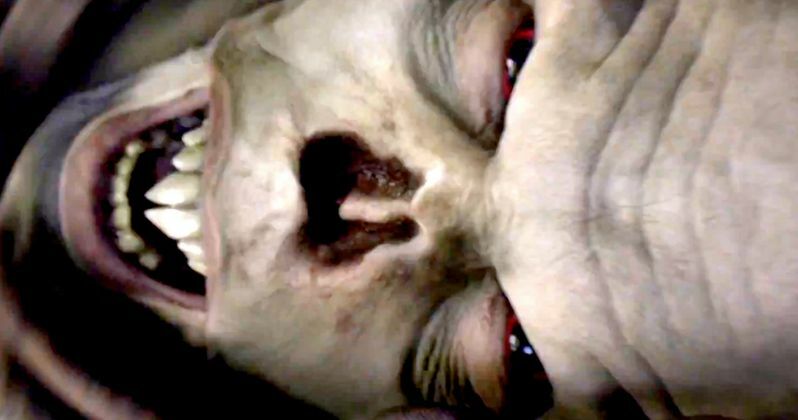 The Strain Season 2 Trailer: Humanity Must Fight or Die! FX has released the first trailer for the highly-anticipated Season 2 of The Strain, which teases the epic battle being fought between good and evil in New York City. The trailer begins with a seemingly idyllic shot of the Statue of Liberty, but from an overhead angle we can see this iconic landmark is just one of many battlegrounds between humanity and the evil that has been unleashed on the Big Apple. Unfortunately, we don't see any main cast members in this trailer, but it gives fans a sense of the epic scope that we'll see in Season 2. FX officially renewed this hit series for Season 2 back in August, with a premiere set for sometime this summer, although an exact date has not been announced yet. In Season 2 of The Strain, the war will continue between humans and vampires, as the CDC's Ephraim Goodweather (Corey Stoll) and Nora Martinez (Mía Maestro) continue to search for a cure. The supporting cast is rounded out by David Bradley (Abraham Setrakian), Kevin Durand (Vasily Fet), Jonathan Hyde (Eldritch Palmer) and Richard Sammel (Thomas Eichorst). Check out the first trailer for Season 2 of The Strain, which was created by executive producers Guillermo del Toro and Chuck Hogan, based on their own series of novels, with Carlton Cuse serving as showrunner and executive producer. Stay tuned to find out when exactly The Strain will return later this summer. The Strain Season 2 Trailer Declares War on All Vampires!